Babes with Brains is asking for your help and support. Would you help me raise awareness and raise funds for brain tumor research? 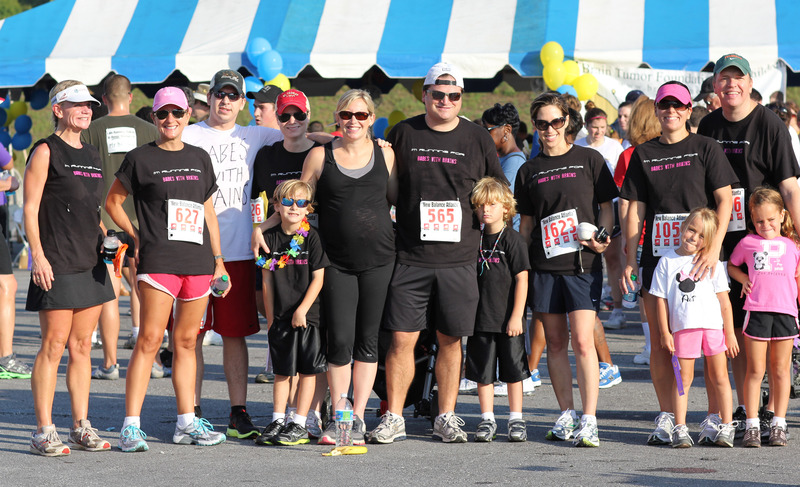 My family and I as well as numerous friends will be participating for the 6th year in the Southeastern Brain Tumor Foundation’s 13th Annual Race for Research. Our team “Babes with Brains”, has raised nearly $40,000 since 2007 and we’re still going strong and still collecting any donation we can. No donation is too small and it will all make a meaningful impact. I have served as a member of the Board of Directors of the Southeastern Brain Tumor Foundation since 2008 and currently serve as the Board Vice President. We are an all volunteer not for profit (501c3) and operate with 5% administrative expenses. That means that 95% of each dollar raised goes directly into researchers hands which is an efficient and responsible statistic we’re very proud of. We pride ourselves in ensuring donors understand our commitment to funding meaningful and impactful brain tumor research and that we operate with fiscal responsibility. Information about the SBTF can be found @ sbtf.org. I’ll spare you the plea as to why this is so important and what this research means to myself and patients like myself with a brain tumor. You read this blog and you’ve followed our journey. You are well aware of what is at stake. Any amount is appreciated and I, as well as the brain tumor community and the researchers the SBTF support will be grateful. If you can not spare a donation, maybe you can forward this onto someone you think would be interested in supporting our efforts. Advocacy and spreading the word is equally valuable. Your readership, comments and your support from all over the world are appreciated and regardless of your ability to make a donation, I will always appreciate each of you. On behalf of the Babes with Brains team, we hope you will join us in funding meaningful research. Any amount is appreciated! Click HERE to donate. If you really want to get wild with your support, you can go to the Grey Matter Life Store and buy the 2012 Babes with Brains race shirts (we’ve designed girl and boy versions this year) and mugs too! Proceeds for these sales go directly to the SBTF. So excited and looking forward to our 6th year too!